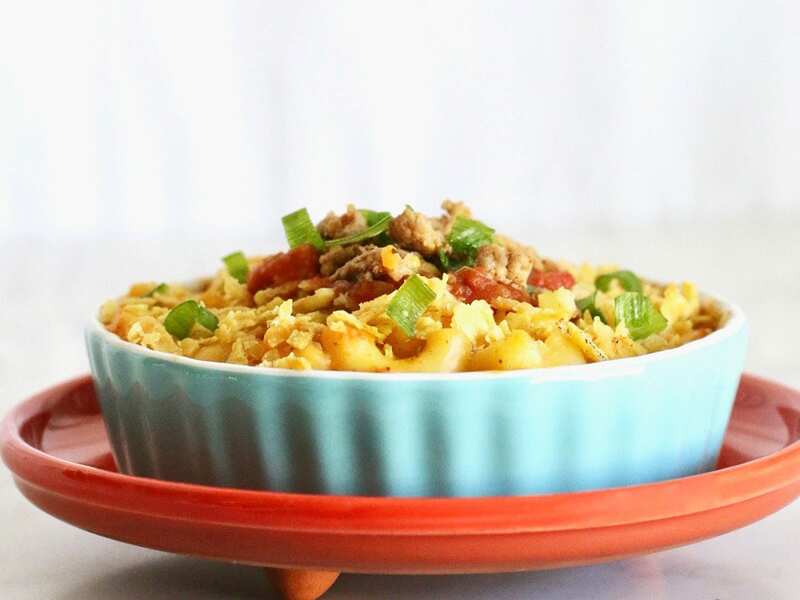 Leftover Taco Tuesday meat gets a delicious second life in this easy, cheesy, hearty taco mac and cheese! 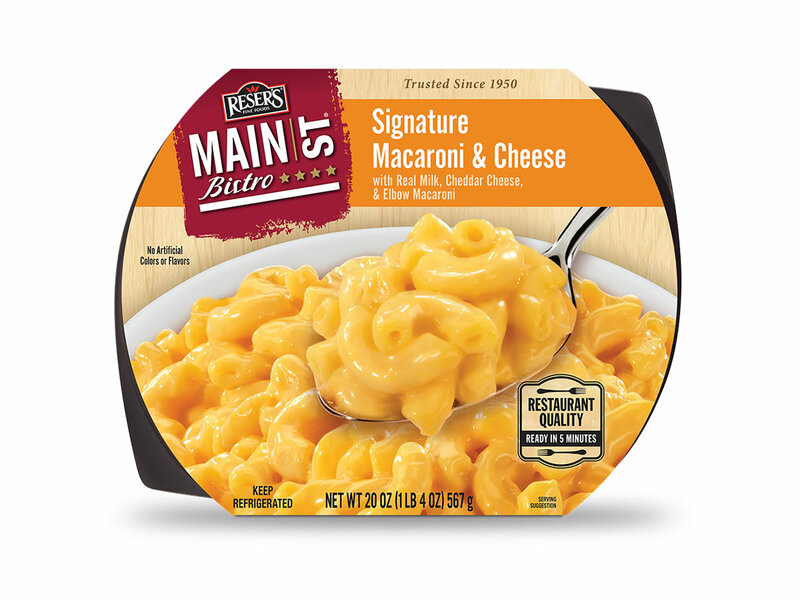 Packed with bold flavors, the creaminess of Reser’s Main St Bistro® Signature Macaroni & Cheese, and the crispy craveable crunch of tortilla chips, this satisfying dish is sure to become a family favorite! Place tortilla chips into a large plastic zip bag and crush into crumbles. Set aside. In a large skillet, heat one tablespoon olive oil over medium heat. Add leftover turkey taco meat to skillet and stir to warm up until meat is thoroughly heated up, about 3-4 minutes. Meanwhile, heat Reser’s Main St Bistro® Signature Macaroni & Cheese following the package directions. Mac & Cheese should be fully heated in about 4 minutes. Grease a 9” x 13” glass baking dish or casserole dish with butter. Add mac & cheese to the baking dish. Mix in the ground turkey and salsa until ingredients are well blended. Smooth over the top so that it is flat and even. Evenly sprinkle a generous layer of crushed tortilla chips over the mac and cheese mixture. Bake at 400 degrees for 5-7 minutes, just until the tortilla chip layer has a slightly darkened golden color. While mac and cheese is baking, chop up any items you wish to use as garnish, such as green onions. When mac and cheese is done, remove from oven and add salt and pepper to taste. Garnish with green onions, plus additional salsa, turkey meat, and crumbled tortilla chips as desired.